After four years and more than 1,500 startup applications from 60 countries, the international CODE_n CONTEST will enter its next round under the banner Unveiling Digital Disruption. Digital pioneers have until May 31, 2016 to apply for the contest. 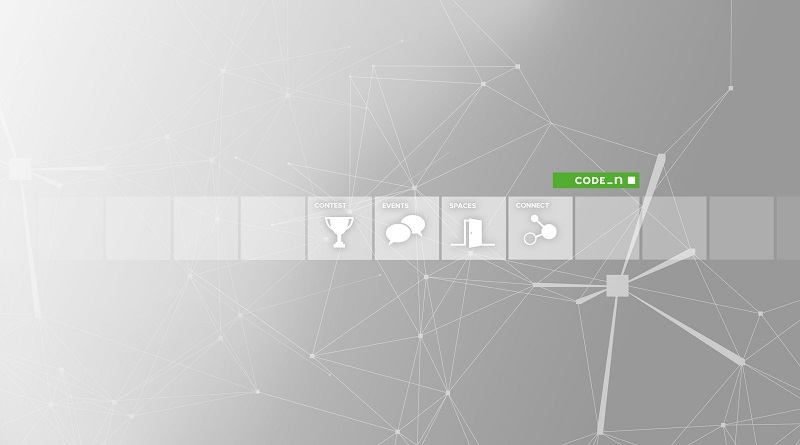 Finalists will compete to win a grand prize of €30,000 as part of the CODE_n Award in one of four themed clusters: Applied FinTechs, Connected Mobility, HealthTech and Photonics 4.0. A jury of experts will select 50 budding startups to present their progressive business models at the CODE_n new.New Festival, which will take place at the Center for Art and Media in Karlsruhe, Germany, from September 20-22, 2016. The event will be open to the public, thus providing an ideal opportunity to generate publicity and forge business networks. Another aim of the event is to bring to life how digital transformation is affecting trends in industry, focusing on inspirational concepts and allowing the participants to exchange their visions of tomorrow’s digital trends with others. The new will meet with the traditional. Aspiring startups will rub shoulders with established companies. 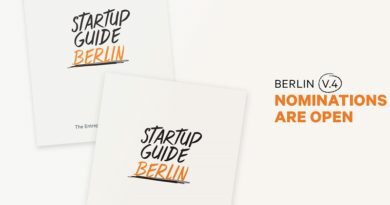 Startups interested in taking part in the contest can apply through CODE_n CONNECT, provided they were founded in 2011 or later. The selected Top 50 finalists will be provided with plenty of space to showcase their business, plus the option to take part in the conference program, pitch sessions, and workshops. These will be hosted by the CODE_n initiator GFT Technologies SE and its festival partners Accenture, the Federal Ministry for Education and Research (BMBF), Hewlett Packard Enterprise (HPE), and TRUMPF. One aim of the new.New Festival is to give contenders an opportunity to win over the jury with their visionary ideas and sustainable, innovative business models. “We’re looking for pioneering new software, hardware solutions, or IT-based business models that will affect the digital transformation of entire industries and permanently improve people’s quality of life. There’s so much entrepreneurial spirit out there, but it’s still not out for all to see – on the surface. Yet there’s such strong demand for all kinds of new business ideas and innovative technologies – breakthrough ideas that improve the quality of life, connect people all across the globe, and secure long-term business growth,” states Ulrich Dietz, initiator of CODE_n and CEO of the GFT Group. Global enterprises like GFT, HPE, and TRUMPF will take on the patronage of individual contest clusters this year. GFT’s task will be to supervise the field of Applied FinTechs, HPE will support Connected Mobility, and TRUMPF will promote Photonics 4.0. Startups working on financial technologies (or FinTechs for short) are more than mere hype – they already have a strong influence on the financial sector with enough energy to disrupt the existing status quo in nearly all areas of the industry. As a technology partner to leading global financial institutions, GFT is adopting this cluster as a sponsor. The main focus is on applied technologies related to machine learning, robo advisory, cognitive automation, and new blockchain business models. Beyond this, there is also strong demand for financial technologies that are both convenient and secure – technologies with the power to reinvent the customer’s digital experience. These can instantly unveil new interfaces to other areas of life. Just one example: an app for smart refrigerators offering data-driven ordering and payment functionality. “Startups bring in a whole new dynamic, they’re daring, they inject energy into the financial industry. On the other side, the banks have years of pooled know-how, the financial power, the structures to quickly scale-up business ideas. Working together, the potential is tremendous. But all of this remains purely theoretical if the two sides don’t communicate,” states Dietz. With this theme, everything revolves around the connected travel solutions of tomorrow. The focus is on smart applications relating to connected cars, but also manufacturing, transportation, and upstream supply solutions. The cluster is being sponsored by HPE who is looking for startups that intelligently combine new business models and innovative technologies. This includes innovative solutions for known challenges as well as ambitious models that help tap into new smart travel solutions. Just like in traditional industries, the health care sector is experiencing dynamic change and much of this is being triggered by digital transformation. To help with this change, new technologies are needed – solutions that make daily life more comfortable for people often challenged by their individual circumstances. The technology should adapt to the individual needs of users and not the other way around. The keywords in this context are health care, biotech, and robotics. All eyes are also trained on data management and security. The patron of this cluster, who should ideally come from the world of business, has not yet been defined. The cluster supported by our festival partner TRUMPF highlights how light can change industrial processes, the working world and modern social interactions. It looks at new technologies for industry, society, and the environment – laser systems, image processing solutions, or optical sensors. The success of manufacturing in a future era of Industry 4.0 will be determined by how well complex production machinery can be integrated with intelligent human-machine interfaces (HMIs). Two further concepts that are central to this cluster are augmented reality and 3D printing. “Photonics technologies enable technical revolutions in areas like power transmission and data transfer, data processing, secure communications, and the production of a variety of products ranging from memory chips to vehicle bodies. Using light intelligently will help us live secure and convenient lifestyles, also giving us a deeper understanding of the world around us. For example, this could be through optical screening or detection technology. Our aim is to work with ambitious startups to cast the public spotlight on such innovations,” states Dr. Peter Leibinger, Vice-Chairman of the Managing Board at TRUMPF GmbH + Co KG.